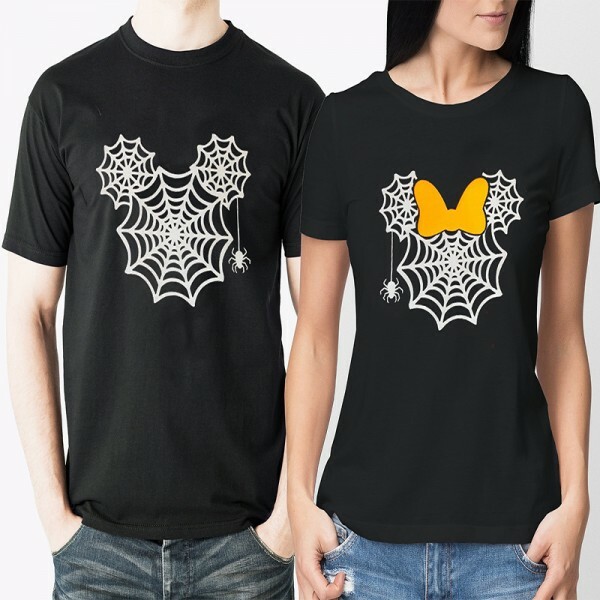 GLITTER Mickey or Minnie Halloween Castle shirts for Mr. and Mrs! A great combination of Disney and Halloween theme. 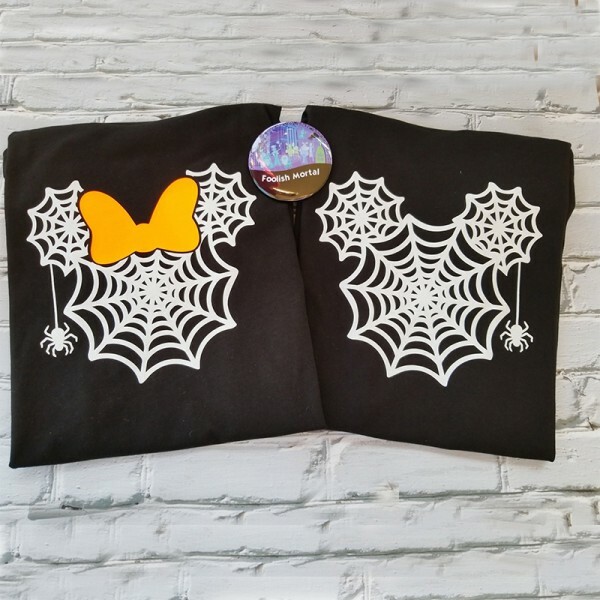 Perfect for Not So Scary Halloween Party, Disney Halloween Cruise and your exciting Disney trip! • Choose your shirt size and if you want Mickey or Minnie on your shirt. 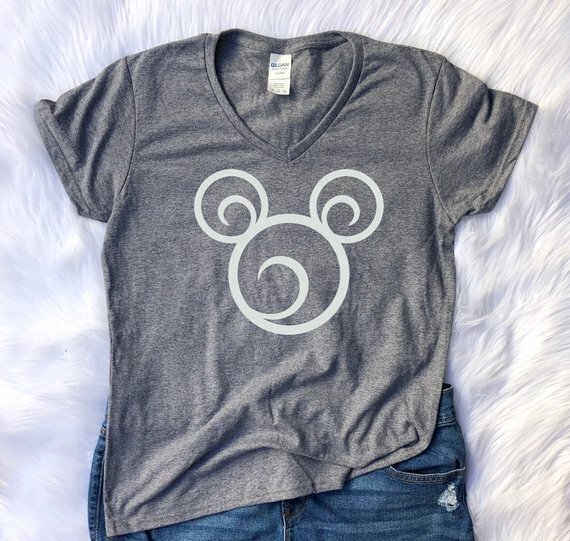 This shirt fits great and the design is adorable! I adore my shirt! It fits great and the design is adorable! I was really worried at first about sizing because I'm a curvy girl but the shirt fits great! Lightweight and isn't at all tight. I highly recommend others to order from this webiste! The owner is super helpful and does beautiful work! Can't wait to wear my shirt in Disneyland in a few weeks! So excited to wear on my upcoming trip to Disney. Thanks! Well made and shipped fast! I love this shirt. It is so soft and light and the color is so pretty..the print is so nice and perfect. I just loveeee it. I am so glad I bought it. My husband really liked the shirt too. Question about Mickey or Minnie Not So Scary Halloween Party Shirt is Successfully Submitted.